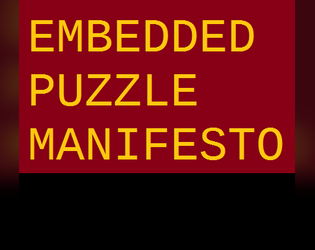 As well as being an effective manifesto, this provides a clear, effective and inspiring methodology to follow for appropriate puzzle creation. BRB. Going to make puzzles.